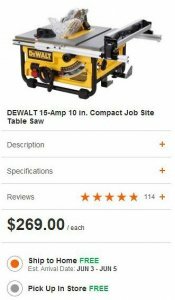 The DW745 was designed to be a portable jobsite saw, so it is compact and features a built-in roll cage for added protection. 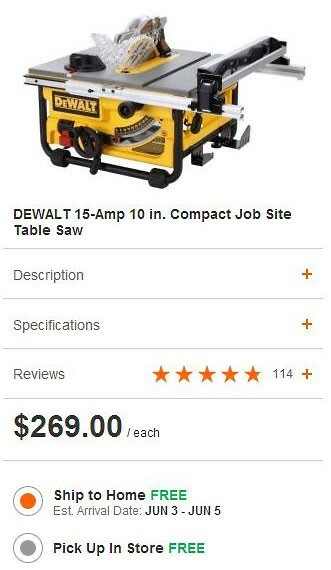 Despite its small size, it receives great reviews, and with some accessories you can turn this portable saw into a full-sized saw with a much larger cutting capacity. If you need a bigger cutting capacity, check the stand from Rousseau, or do a search online for some homemade stands. Personally, I would save the money a build my own stand.